There are plenty of carp fishing venues in France, but few of them have big lumps swimming in their lake. Because you can catch your 20lb or 30lb fish at your local fishery, we've selected 7 great lakes with fish up to 70lb and 80lb. Set in a stunning location with breath-taking views this well kept venue is 101 acres (41 hectares) in size, with only 8 spacious swims, giving each angler ample room to fish. It has an amazing stock with very big carp that haven't seen a boilie in years, with weights up to a 86lb. 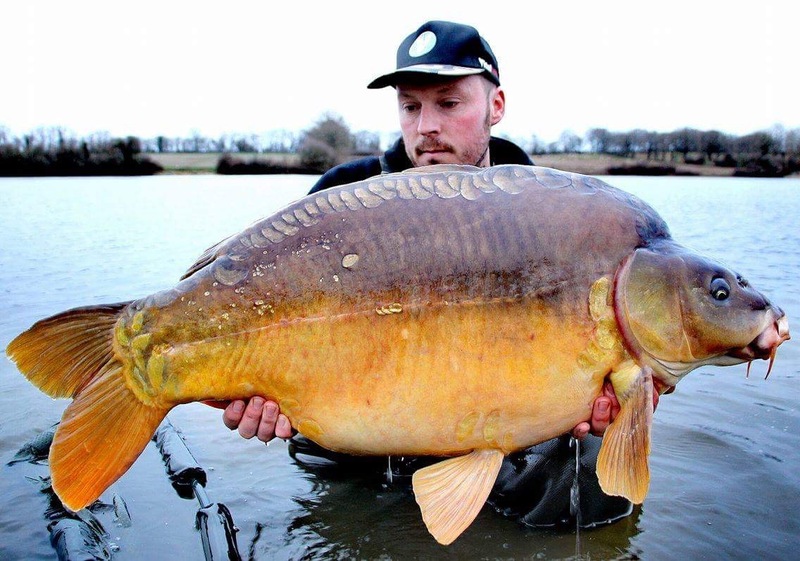 The amount of big carp in Etang 5 is just staggering. Although the biggest fish haven't been out lately, we're absolutely sure their still swimming in the lake. The Big Male, Scarface and other big fish will be photographed soon! 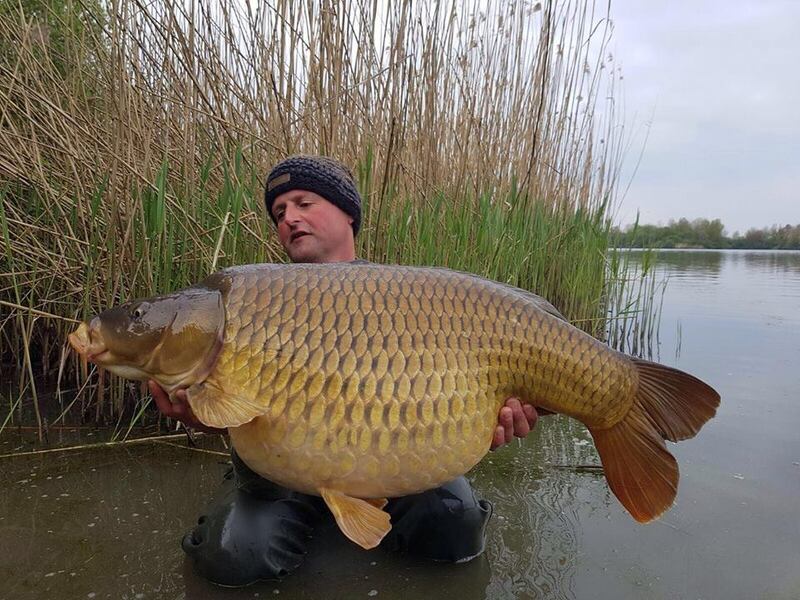 If you are looking to catch big carp and are experienced enough to take advantage of one of best kept secrets in carping holidays, then Lac de Villedon could be the ideal venue for you. The lake is stunning with around 100 acres of water stretching for over 1.4mls (2km) and in this water swims some of the best carp you’ll ever see. There are over 1,200 carp with an average weight of 33lb and there are plenty of 60s and 70s to fish for – with the fish growing each year! If you are looking for the fish of a lifetime then you really need to take a look as there are carp up to 85lb swimming in its depths. Lac de Cavagnac is home to around 1000 carp with over half weighing in at 40 plus. 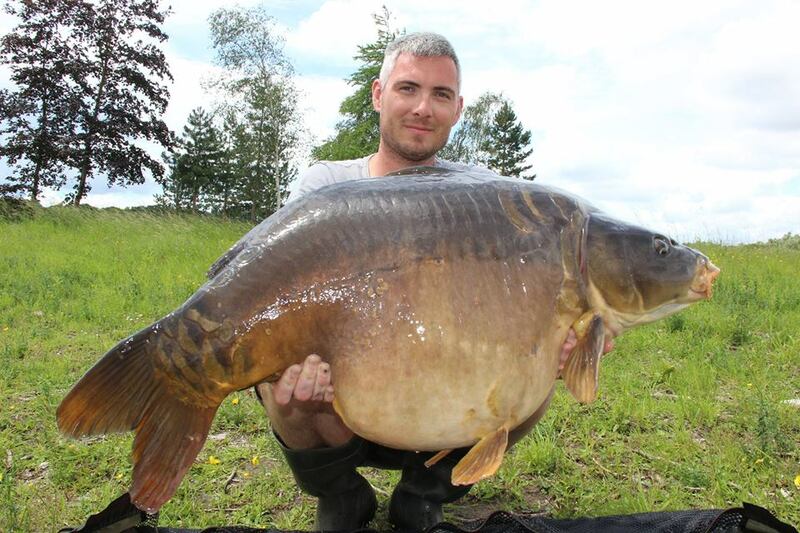 The lake record is a massive 85lb 2oz, called Single Scale. Of course, with a lake of this size the fishing cannot be classed as easy but there are usually a few 40s caught each day and several 50s each week. Maurepaire is a well know 15 hectares - which equals 37 acres - carp fishing venue. It's a fairly shallow venue, just like many others in the area the soft silky bottom has hardly any obstacles. Maurepaire is stocked with around 500 mirrors & common carp. A lot of 40's, 50's & 60's come from La Horre. Bridgette is the largest carp, a large common female weighing over 70lb. About 250 years ago monks dug Lac de Vaulaurent to breed fish. And what a location they picked to do this! 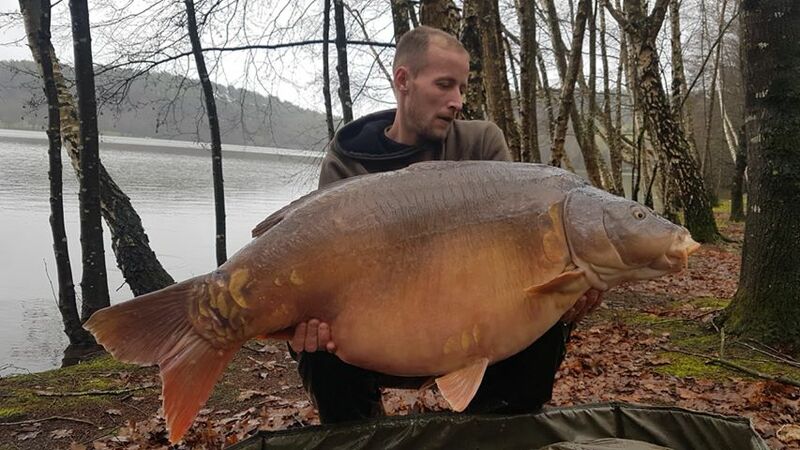 The biggest carp was caught a couple of weeks ago by Bertrand: 32,540kg which is around 71.7lb. Frank, the owner and full-time carp angler has created a first class carp fishery with a healthy stocking. Every year Vaumigny brings us new surprises... We're convinced that now there are at least 36 carp over 45 in Vaumigny. The lake record is 69lb. The fish stock of Iktus Carpe consists of about 1200 commons and mirrors between 5 and 33,4kg (73.6lb). There are lots of fish weighing more than 15kg (33lb). Originally, the lake was stocked with wild common carp and the biggest common carp caught was 23kg (50.7lb). Having seen the tremendous growth of the carp through these years we are absolutely convinced that the forthcoming seasons will bring a new generation of 50’s, 60’s and 70’s.